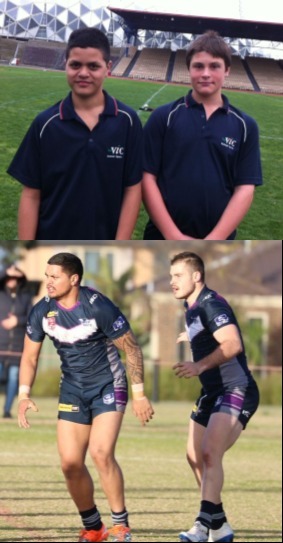 The 2018 U12's National Championships are currently being held in Adelaide this week, but it was 7 years ago when good friends Jordin Leiu and Nic Flocas first played representative Rugby Legaue together for Victoria. The 2 current U20's Thunderbolts front rowers represented School Sport Victoria at the 2011 U12's National Championships held at the old home of the Melbourne Storm, Olympic Park. Tonight these 2 local juniors will run out together onto AAMI Park for the Victoria Thunderbolts highlighting the strong pathway that exists for Victorian player's within the NRL Victoria representative pathway. 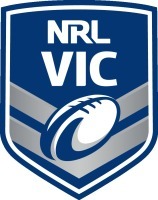 In the current U20's Thunderbolts Squad, 5 players have played for the School Sport Victoria U12's while 8 others have come through NRL Victoria's U14's, U15's and U16's Development and Schoolboy programs. The rest have either represented Victoria at U18's level or have relocated to Melbourne to gain better opportunities. "We are very happy with the current pathway we have for aspiring young Victorians who have the dream of playing in the NRL. Our Junior League numbers continue to grow and our pathway programs allow for players to enter from U12's through to our U18's and U20's Victoria Thunderbolts Squads which feed into the Melbourne Storm". "Some of our U20's player's this season have been rewarded with training sessions with the Storm NRL squad and some of our most talented players across our pathway programs have been a part of a Melbourne Storm Talent Squad which involved monthly sessions with a focus on what it takes to be a Melbourne Storm player." The Thunderbolts take on the Ipswich Jets at 5:15pm tonight at AAMI Park. Gate 7 will be open from 5:00pm.